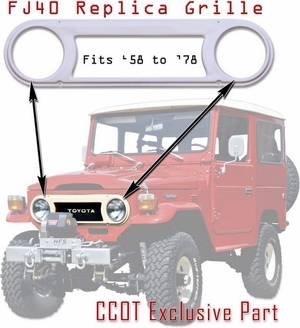 Due to popular demand, CCOT developed a replica set of Grille stamping dies to create an replica of the OEM grille that Toyota discontinued.This is a simple screw on, screw off replacement part, only by CCOT. Grille comes Powder Coated in the original off-white Toyota color. Typically, no painting is required, however grill may have some small scratches from Maker. Limit, one grille bezel per Customer while supply last. 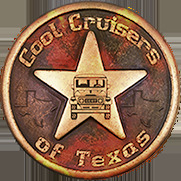 Place your order today to purchase our OEM Replica Grille. Note: System will add $3.99 to base price for hardware kit, described below. 4ea. grille to bib rubber spacers. 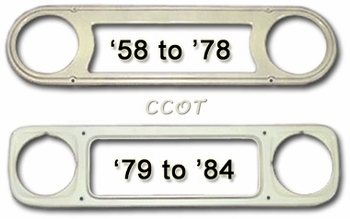 This Grille will not fit '58 to '78 because mounting holes are located differently. 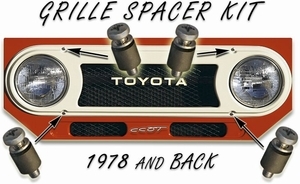 This is the only Toyota Grille available. 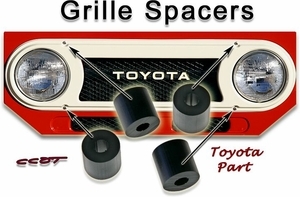 Toyota Front Grill Spacers - Set of 4 ea.